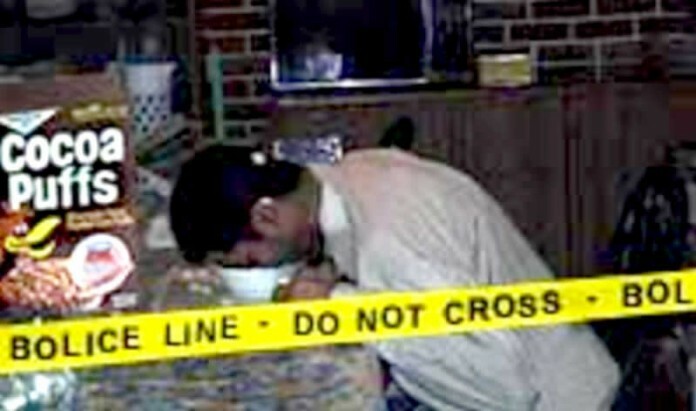 Muna (pictured) moments after enjoying his last bowl. Coroners suspect he may have still been alive at the time. HOUSTON, TX – A solemn mood set the stage at a north Houston residence yesterday as the county coroner confirmed the death of 14-Year-Old Tazi Chaudhry. Chaudhry was found face-down in a bowl of his favorite cereal, Cocoa Puffs, as his family was preparing to begin another day of Islamic fasting. The Chaudhry family is still trying to cope with the tragic loss of their youngest and most beloved member who they lovingly referred to as ‘Muna’. The Harris County Coroner’s office released their report which captured yesterday’s grim set of events. The coroner went on to write he reached these conclusions after finding a two puffs of the “cocoa cereal” lodged up the subject’s nostrils. As Ramadan comes to a close, the family must now learn to cope with the tragic loss of young Tazi.